It’s now trending to dress up your leisure wear. I decided to make this work for me as well because of the rainy days that seem to be non stop right now. 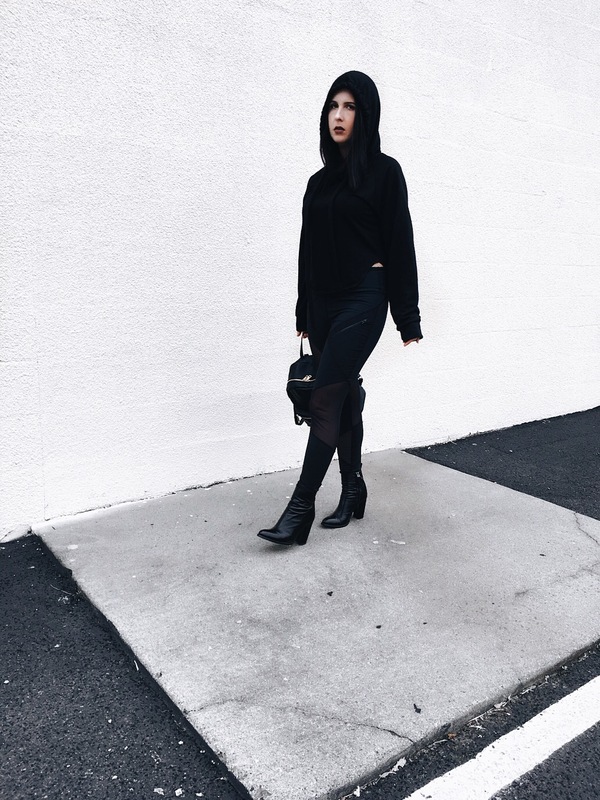 I paired my workout leggings with these black Zara high ankle boots. On top I kept the all black theme and selected a black hoodie with long drawstrings. The hoodie was a must the day I shot these pictures, it was raining. I loved this look and it’s one that I will be wearing on repeat this rainy season. How do you dress up your athletic wear? Fantastic styling, those boots are awesome! I love the mesh panel on those leggings! it adds a nice touch to the all black look! 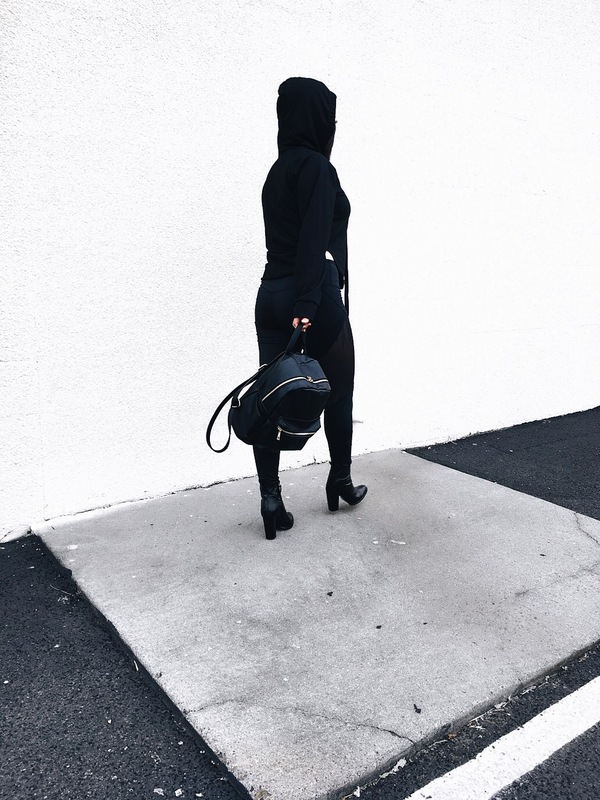 You rock this all black look! Love this black outfit. The bag is so cool. Such a cool look! Great styling!